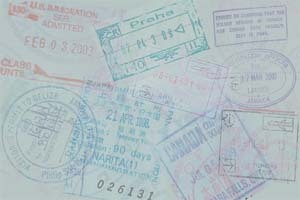 Everyone knows that planning a trip abroad involves passports, traveller's cheques, clothes and luggage. But there is another important component that is often forgotten...Health! Are vaccinations required or recommended for the country to which you are travelling? What are the health risks? Travel Health Clinics provide vaccinations and health counselling for travellers. Where Are Your Local Travel Health Clinics Located? Your regional health authority or the yellow pages should have a listing of travel health clinics in your area. The Health Canada Website: http://www.travelhealth.gc.ca has a list of addresses and phone numbers of travel clinics across Canada. What Can A Travel Health Clinic Do For You? It Makes Sense to Obtain the Best Travel Health Advice before your Trip! The Alberta Association of Travel Health Professionals (AATHP) has sponsored this pamphlet. HAVE A SAFE, HEALTHY AND ENJOYABLE TRIP!